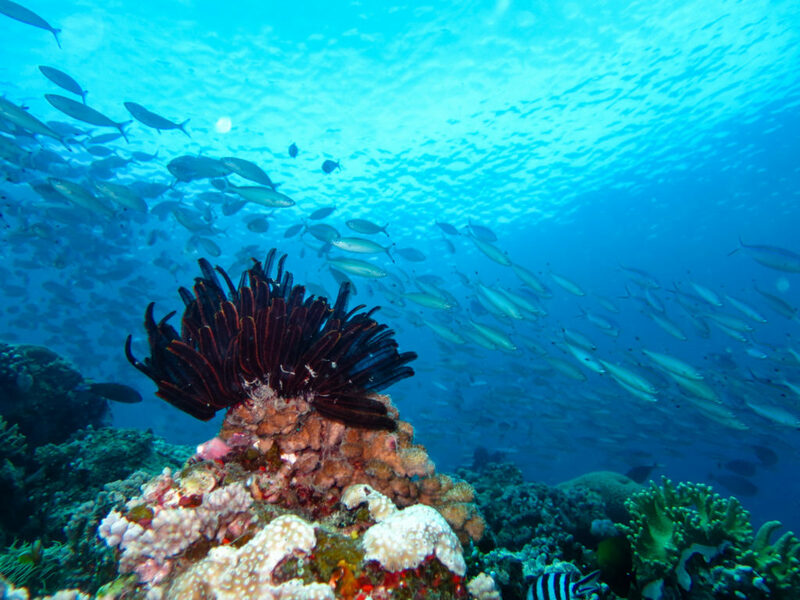 The Coral Sea off Port Douglas is beautifully warm over the summer months with water temperatures between 28-30 degrees celsius (80-86F), no wetsuit required! During this time of year we often have continuous light winds of less than 10 knots. 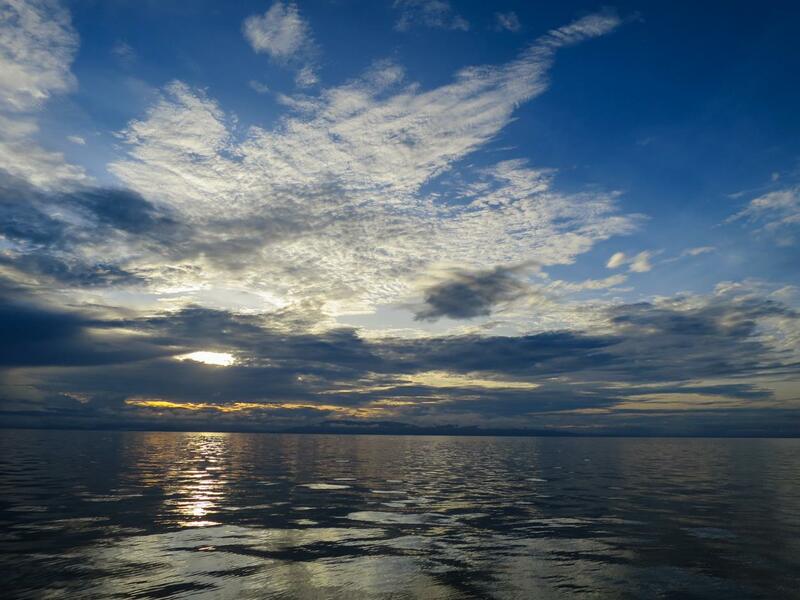 Thanks to the light winds the wet season is when we are most likely to have glass-outs, this is when the surface of the sea is so calm it can be like looking through a window – perfect if you don’t like rough seas! Of course the weather can change and we have days of higher winds but these are far less frequent at this time of year. 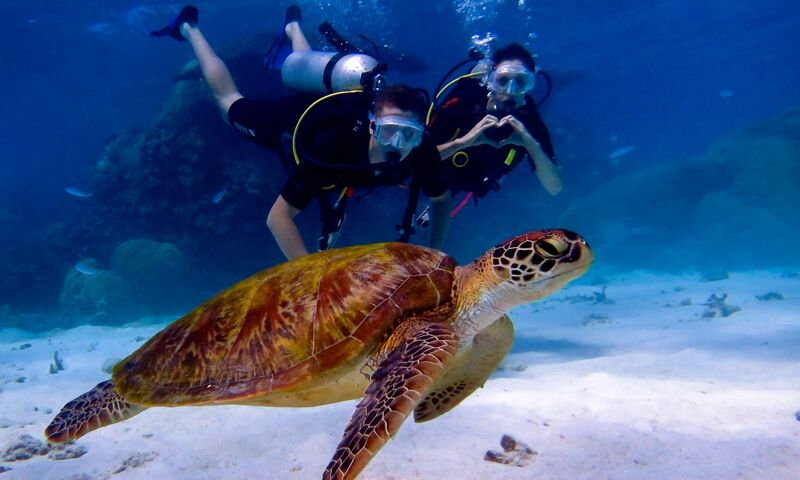 All diving with Blue Dive is at outer reef locations such as the Agincourt and Opal Reefs. When diving out here we are located 25-30 km’s offshore which means that run-off from the rain doesn’t effect visibility. 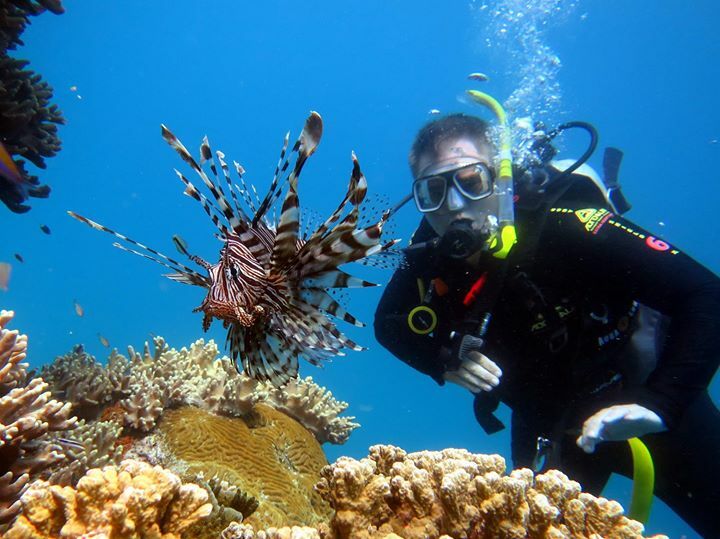 Many people are used to diving close to shore where rainfall can reduce visibility dramatically, thankfully we don’t have to worry about this when diving from Port Douglas. During the wet season we continue to see an abundance of marine life including dozens of species colourful reef fish, sea turtles, reef sharks, cuttlefish, rays and eels. The only things we don’t get to see at this time of year is the migratory whales, you’ll have to come back to Port Douglas between June-September if you want the opportunity to see the humpback and minke whales from Port Douglas. Another great tour to consider during the wet season months (or any time of year) is an Outback and Rainforest tour with our sister-company, Blue Adventures. The waterfalls of the region are at the most impressive during our wet season and on a Blue Adventures tour we have the opportunity to visit some of the finest falls in the area. 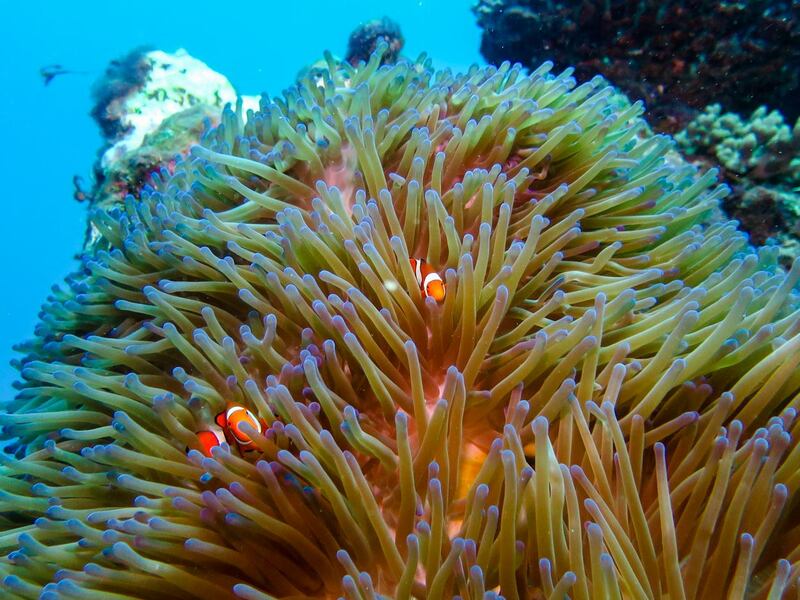 Have a question for us or like to know more about diving from Port Douglas? Click here to contact us or give us a call on +61 427 983 907.